Tasty & Affordable Dishes - Cheap And Good! 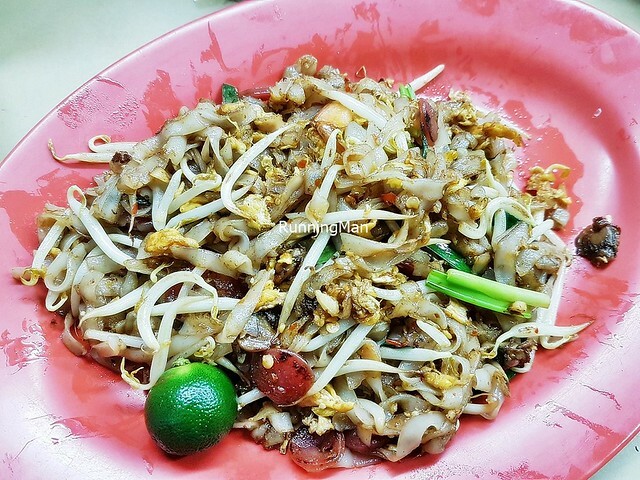 Located beside Aljunied MRT station on the outskirts of Geylang, Penang Seafood Restaurant was established in 2008 as a small coffeeshop selling Penang, Malaysia street food. 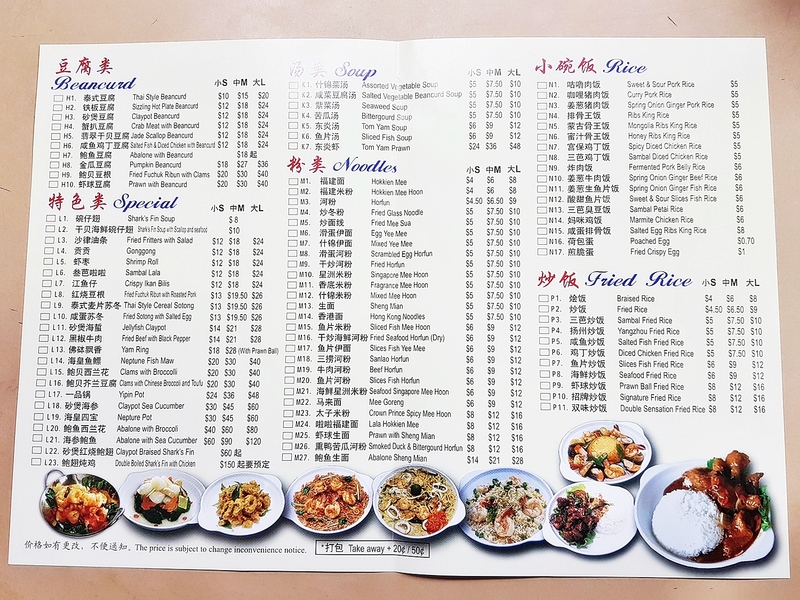 The skill of the chef-owner saw it quickly attract long queues, and he eventually decided to expand into a full fledged Chinese Zi Char restaurant in 2011. 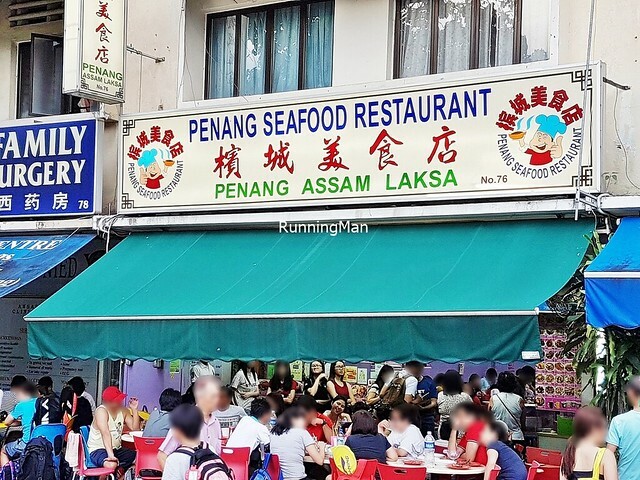 Today, Penang Seafood Restaurant still draws long queues for its wide variety of consistently tasty and affordable food, and its authentic Penangite dishes, which are more delicious than some versions in Penang, Malaysia! 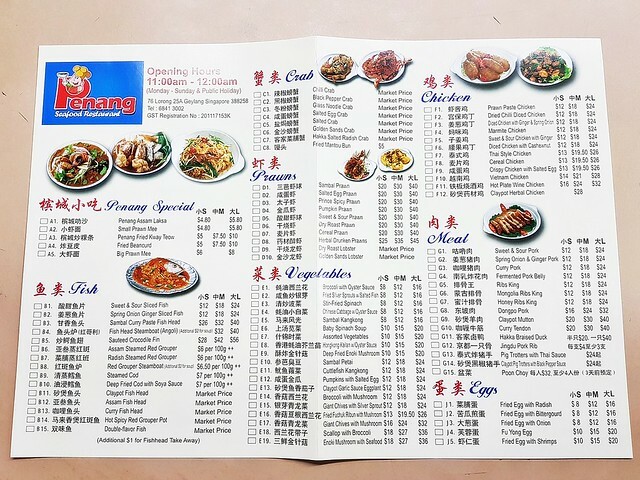 Ambience at Penang Seafood Restaurant resembles that of a typical Chinese Zi Char place, a clean, bare place, brightly lit by harsh fluorescent lights, tightly packed with functional plastic and metal furniture. There is little decor here, but the place is noisy, bustling, and lively, with much movement and activity. The near constant queue during peak periods blocks the common walkway. I find the outdoor al-fresco seating, while exposed to the elements, more pleasant on a cool, non-rainy day. 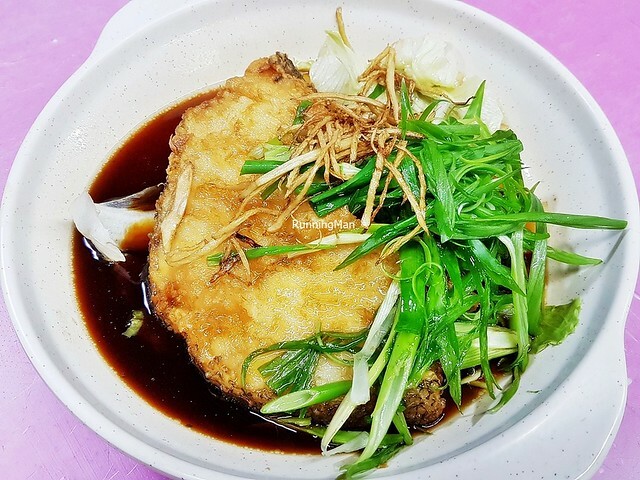 Service at Penang Seafood Restaurant is efficient like a well-oiled machine. Orders are prepared by table, so everything is served all at once, great idea! Actual waiting time for orders, even during peak periods, is reasonable, around 15 minutes. Despite the queues, turnover is fast. 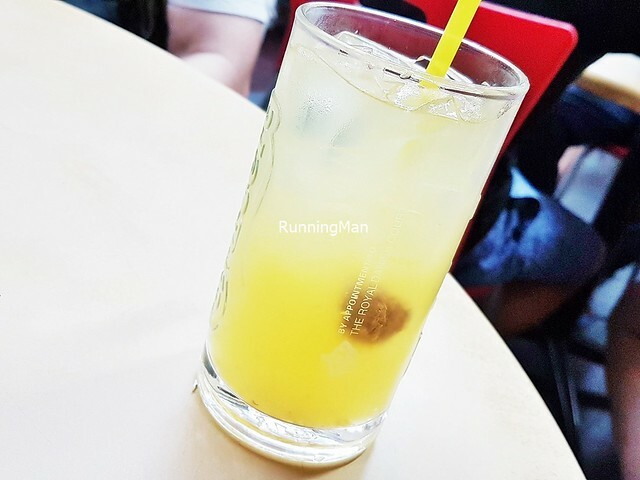 However, placing of orders tends to bottleneck, as only 1 staff takes orders, preventing confusion for the business, but this also means customers are kept waiting. The other staff are quick to clear empty / dirty tables, and are helpful with simple requests. However, it's best to have an idea of what to eat before you arrive, as the order-taking person has no patience. 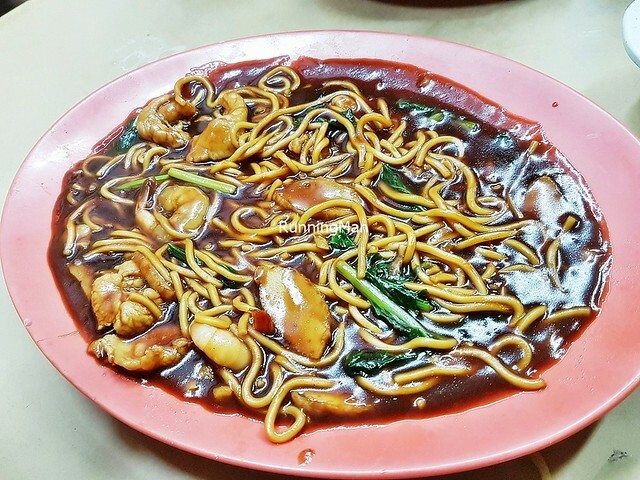 Food at Penang Seafood Restaurant is classic Chinese Zi Char, with a focus on noodles, seafood, and Malaysian cuisine. Flavours are bold, and dishes are tasty, and I commend the wok hei / breath of the wok they've managed to consistently infuse. Portions sizes are designed for communal dining, so a group of at least 3 - 4 people is best. Prices are reasonable and affordable, comparable to most other Chinese Zi Char places, budget about SGD $30 per person for a full meal, with seafood here. The home made drinks here are expensive. 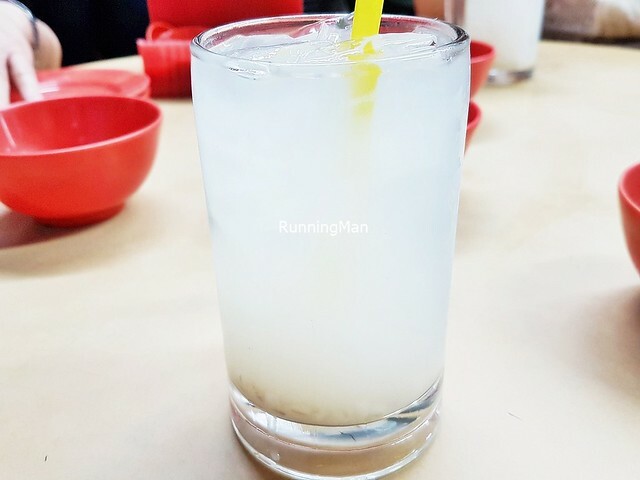 The Iced Barley (SGD $2) has a generous amount of barley grains in the glass, while the Iced Lime Juice (SGD $2) has a nice contrast of flavour with the addition of dried sour plum. 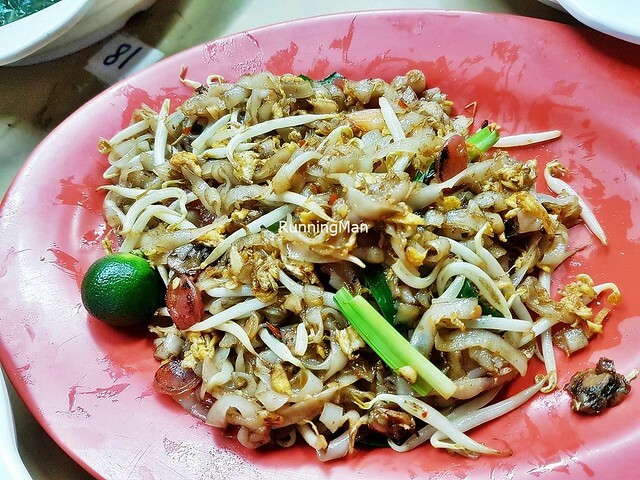 The Fried Kway Teow (SGD $5 / $7.50 / $10) here is similar to the Penang, Malaysia style of Char Kway Teow. 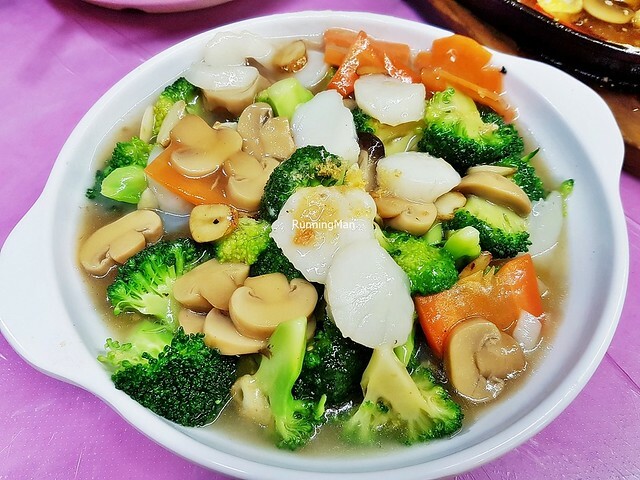 Being more savoury instead of sweet, this dish has good wok hei / breath of the wok, with an enticing smoky aroma, and a generally dry texture. The thin, flat rice noodles are garnished with crunchy bean sprouts, eggs, savoury salty lup cheong / Chinese pork sausage, tiny cockles, and spring onions. Squeeze some lime juice over to lend a zesty sharpness! Overall, an above average dish with good taste, less oily than I expected! 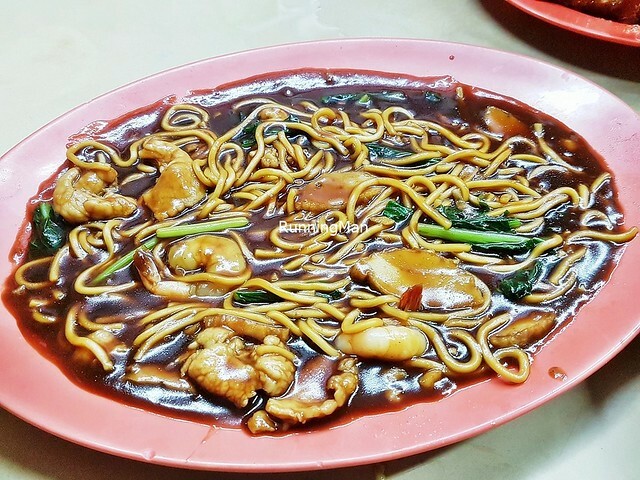 The Fujian Hokkien Noodles (SGD $4 / $6 / $8) here is similar to the Kuala Lumpur, Malaysia style of dark Hokkien Mee. Smoky, with a deep savoury flavour from pork lard, and with a hint of salty, the dish looks unappealing, but is very tasty! The braised pork gravy is the star here, making the entire dish delicious! 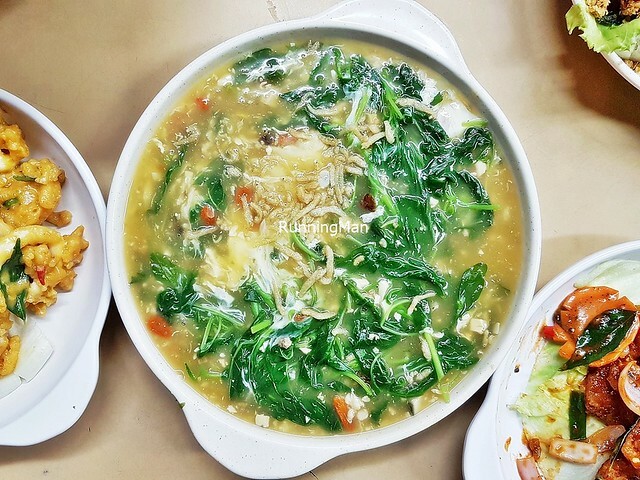 The round yellow egg noodles are complemented with fresh kai-lan / Chinese kale / Chinese broccoli, sliced pork loin meat, fish cake, and whole sweet savoury deshelled shrimp / prawns. Good! 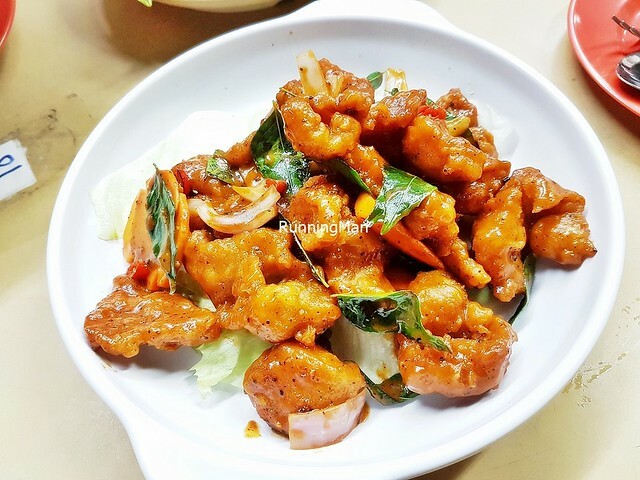 The Mongolian Pork Ribs King (SGD $12 / $18 / $24) are meaty strips of tender, boneless pork, coated in a fragrant sweet sour glaze, spiced with curry leaves and pepper, giving the meat a slight kick. Decent dish, worth ordering. 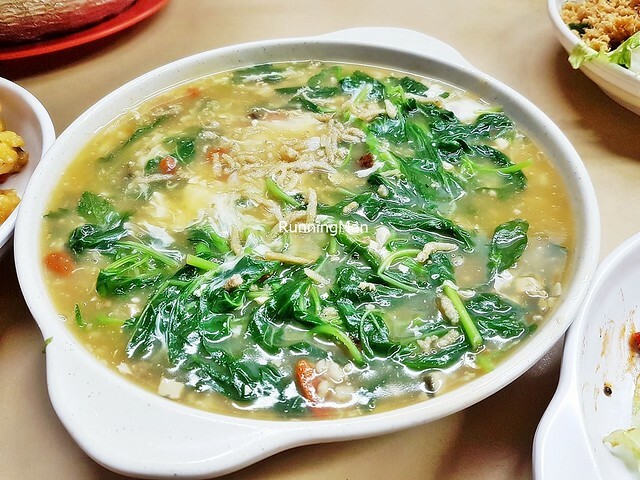 The Baby Spinach 3 Egg Soup (SGD $10 / $15 / $20) is a signature dish here, but in comparison to elsewhere, I find it to be just decent, or perhaps slightly better than average. The spinach is soft, but the bold flavours are contributed from the eggs (salted, century, normal), wolfberries / goji berries, anchovies, and chicken stock. This is more like a soup appetizer than a main course dish. Decent. 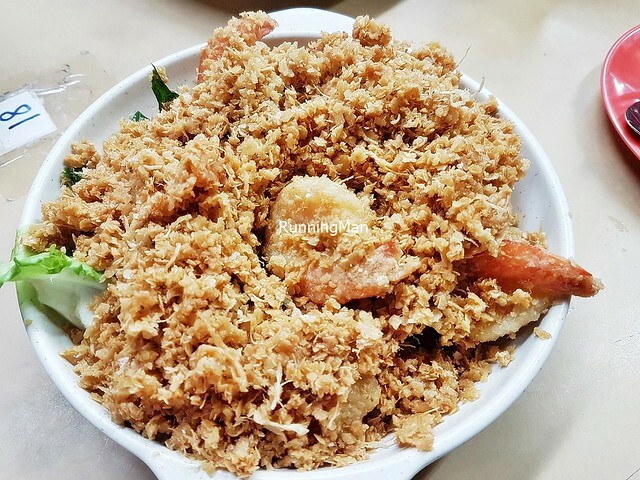 The Cereal Prawn Ball (SGD $20 / $30 / $40) here features fresh, meaty sweet deshelled shrimp / prawns, coated in a generous amount of fried cereal oats, spiced with curry leaves. So tasty and delicious! 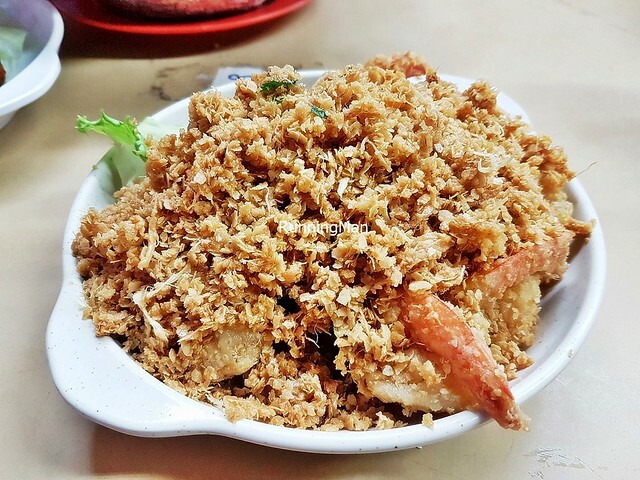 I like that the portion is large, and the prawns are not too oily, yet the cereal remains crisp. Worth ordering! 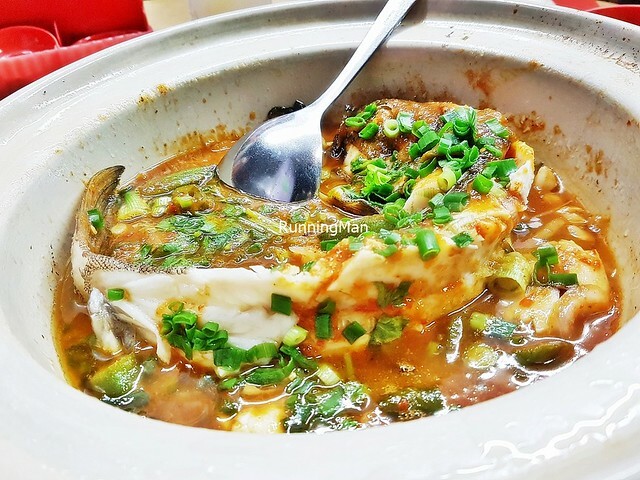 The Claypot Assam Steamed Red Grouper Fish (SGD $6 per 100g / $48 for 800g) features a whole, fresh red grouper fish, with tender, meaty, sweet flesh, carefully filleted and presented in a claypot. Filled with a tangy, sour savoury spicy assam tamarind gravy, which pairs so well with the fish! Delicious, I ended up pouring the gravy over rice! Highly recommended! 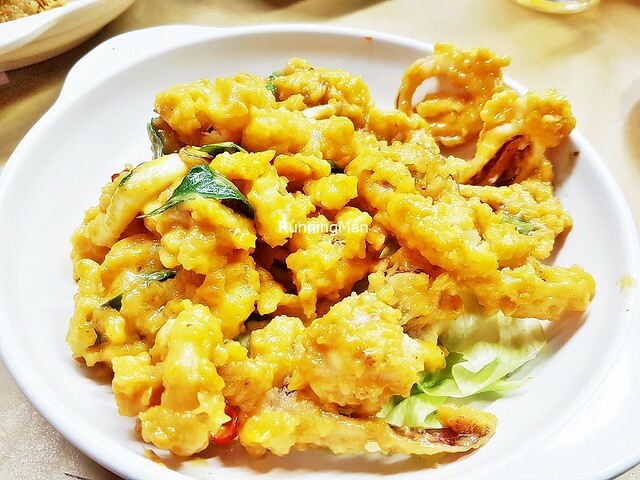 Among the best dishes we had here, the Salted Egg Squid (SGD $13 / $19.50 / $26) is incredibly tasty! 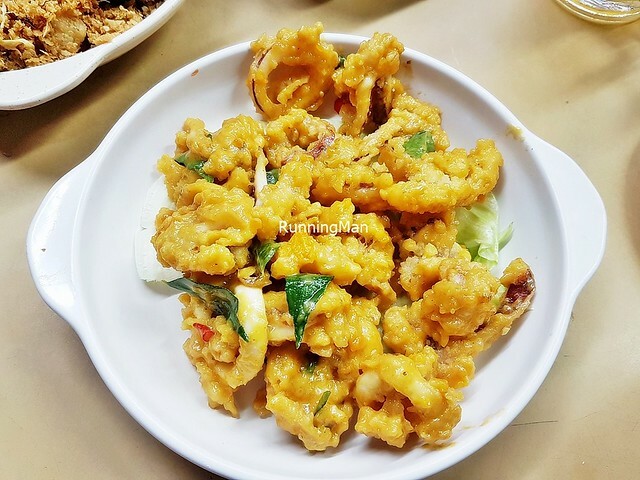 This flavour party features fresh, medium sized, bouncy squid parts, having a naturally sweet savoury flavour. 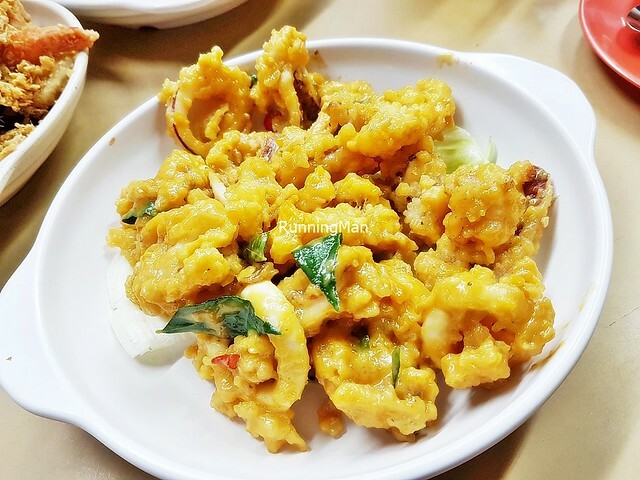 It's coated in a thick, delicious salted egg yolk sauce / gravy, spiced with curry leaves and a bit of chili. So addictive! Highly recommended! 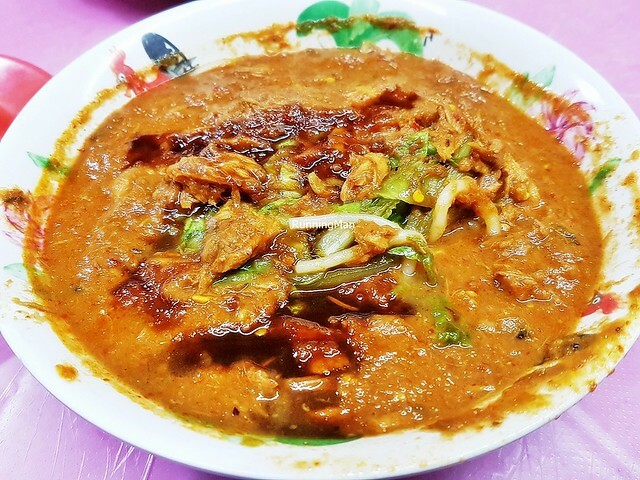 The Assam Laksa (SGD $4.80 / $5.80) is a signature dish here, and it is excellent. Better than even some versions you'll get in Penang, Malaysia. 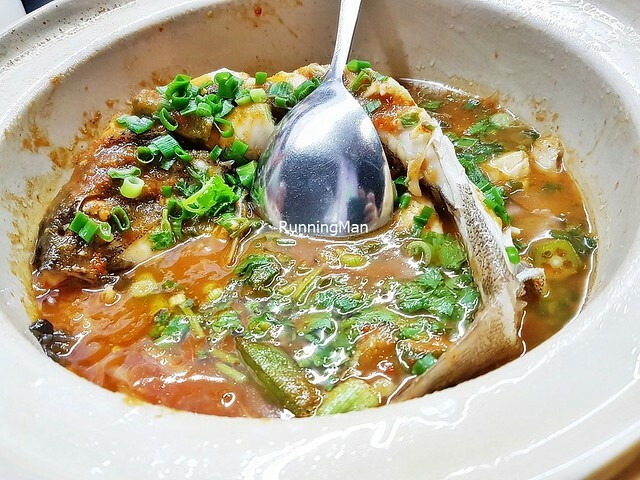 The slippery, medium rice vermicelli noodles are covered in a rich, thick, assam tamarind gravy, filled with chunks of mackerel fish, cucumber, onions, and chili. Bold flavours of tangy, sour savoury spicy, really quite addictive. Highly recommended! 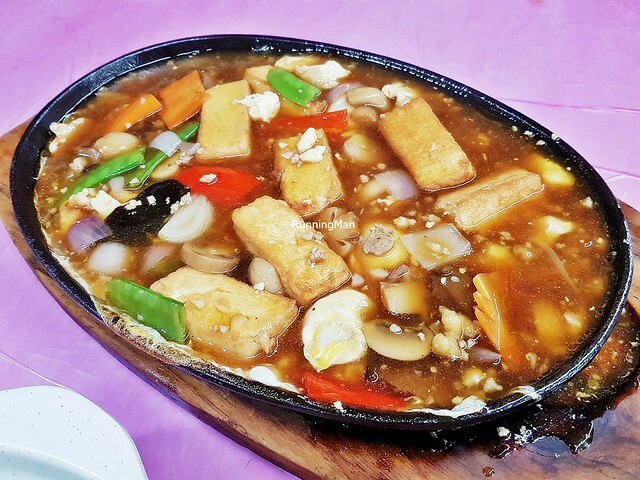 A simple, straightforward Sizzling Hot Plate Beancurd Tofu (SGD $12 / $18 / $24), done well. 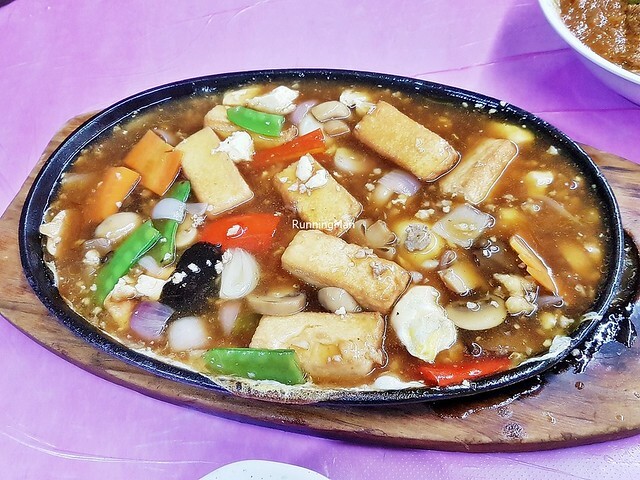 The beancurd tofu cubes are silky soft and wobbly, served in a rich and thick savoury gravy of minced pork, eggs, onions, button mushrooms, shiitake mushrooms, and snow peas. Delicious and hearty, best paired with white rice. Good! 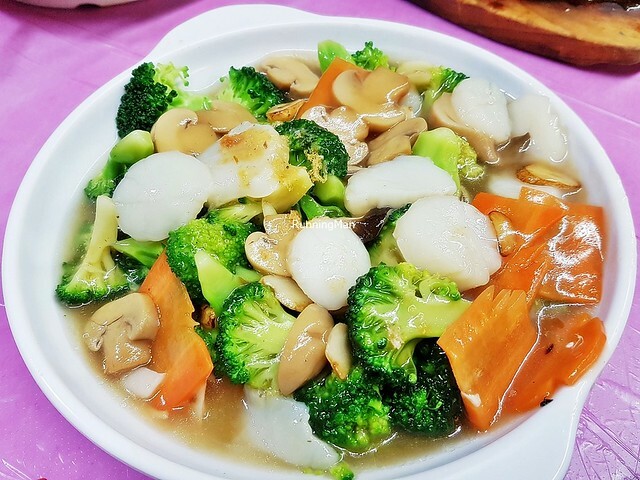 The Scallop With Broccoli (SGD $18 / $27 / $36) features fresh stalks of crunchy broccoli, carrots, button mushrooms, and plump juicy sweet scallops, served in a light oyster sauce. I like that this dish is fresh, and more light and clean tasting as compared to other versions elsewhere. Good! 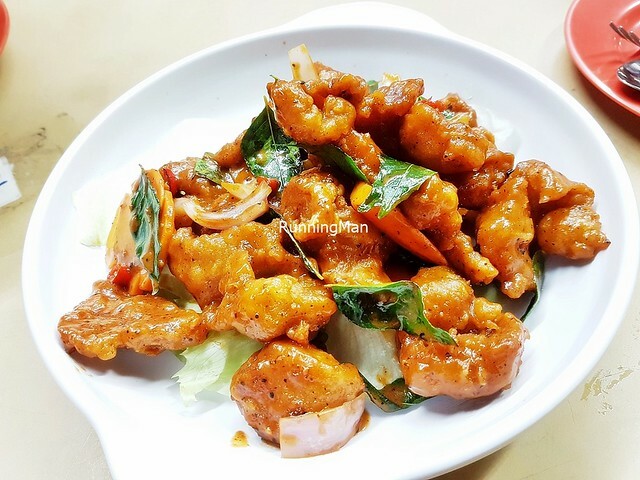 The Deep Fried Cod Fish In Superior Soya Sauce (SGD $8 / 100g, $32 / 400g) may have small bones within, but it was still enjoyable. 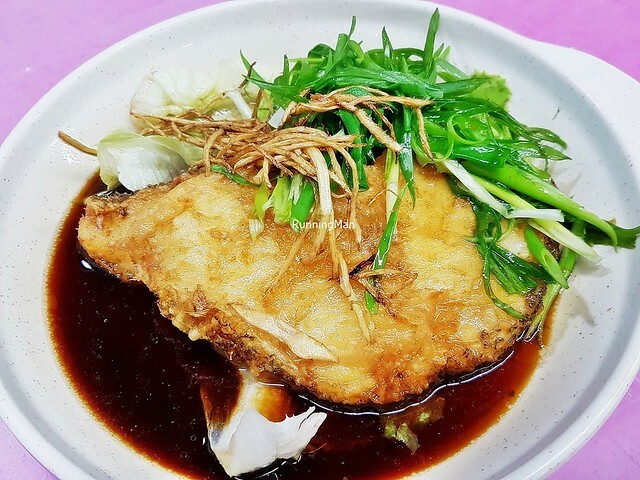 The large, tender, oily fillet of cod fish, slightly crisp and salty on the outside, sweet on the inside, is served in a salty savoury superior soya sauce. Fresh spring onions and ginger lend a burst of bright freshness, complementing the deep, robust flavours of the dish. 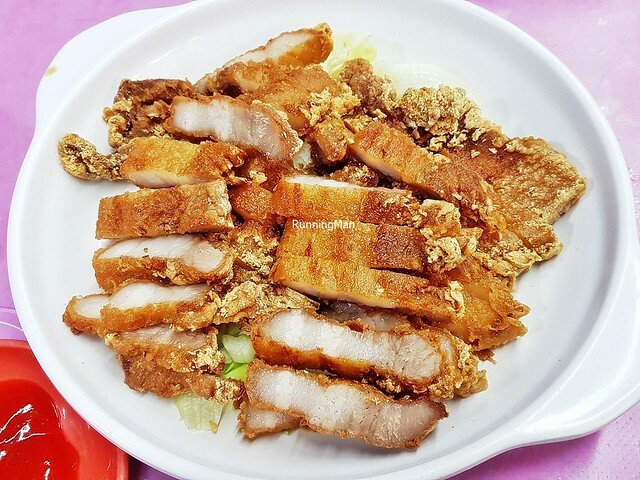 The Fermented Pork Belly (SGD $12 / $18 / $24) is lovely, with crisp strips of salty savoury fatty pork belly, that crunch softly when bit. 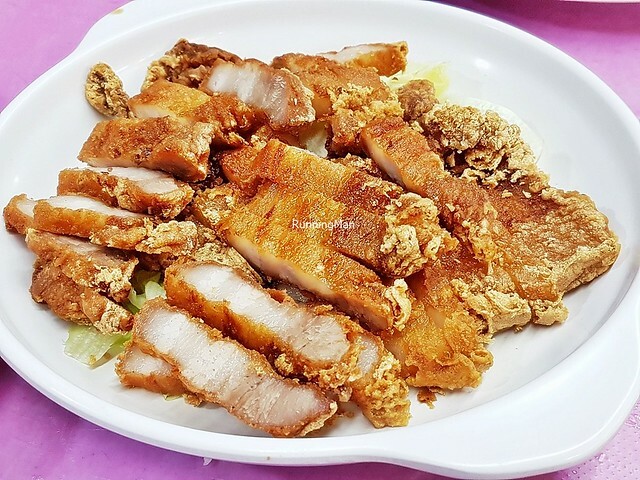 Big flavour from the coating of fermented soy beans, then you get the oily fatty texture of the tender and moist pork belly. Decadent and sinful.